BOSCH K S00 000 120. BOSCH K S00 003 109. BOSCH K S01 000 090. 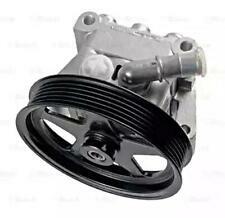 Pump Type: Vane Pump. JAGUAR X-TYPE Estate (X400) 2.1 V6 11/2003 -. JAGUAR X-TYPE Estate (X400) 2.5 02/2004 -. JAGUAR X-TYPE Estate (X400) 3.0 02/2004 -. Jaguar S-Type. Donor Vehicle: Model: JAGUAR S TYPE 2000. Year: 2000. If there is a problem or a concern that would cause. Pick up is available. No labor warranty is provided or implied. USED WORKING CONDITION. SEE PICTURES FOR DETAILS. Donor Vehicle: Model: JAGUAR XJ8 07/2000. If there is a problem or a concern that would cause. Pick up is available. Removed from 2000 JAGUAR S TYPE 4.0L V8. We normally reply within 12 hours. This part was removed from a 2003 S TYPE with 108618 Miles (0 miles = not available or unknown). Not Covered: Oil and coolant leaks. Model: S TYPE. S TYPE 2001 -2001 6-181 (3.0L), from VIN L86902. S TYPE 2001 -2001 8-244 (4.0L), from VIN L86902. Used, in good working condition. Make/Model: Jaguar S-Type V8 4.0L. for more parts. 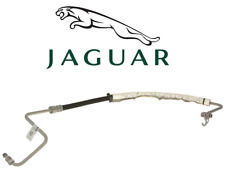 Pump to Rack New - Genuine Jaguar C2C41604 Power Steering Hose. Removed from 2000 JAGUAR S TYPE 4.0L V8 WITH 74K MILES. We normally reply within 12 hours. 2002 xj8 vanden plas power steering hose. Model: Jaguar xj8. Year: 2002. Color : red. What you see on picture is what you will receive. Donor Vehicle California car rust snow free. JAGUAR X-TYPE 10/2005. Greyhound - you required to pick up the item from the station. SKU: C2C16119. MPN: C2C16119. 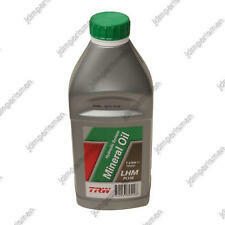 Manufacturer Part Number: C2C16119. Part Number: C2C16119. Donor Vehicle: Model: JAGUAR X TYPE 2002. Year: 2002. 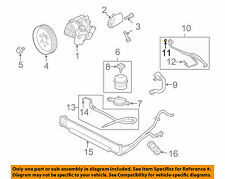 This part will fit the following models with the following options Pick up is available. Paint: SEC. 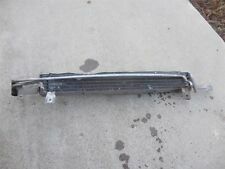 This part will fit the following models with the following options: Donor Vehicle: Model: JAGUAR X TYPE 2005 Engine: 3.0L V6 Year: 2005 Mileage: UNKNOWN VIN: SAJWA51A75WE52984 Paint: JHV Trim: NED Notes:. Used, in good working condition. for any Jaguar parts. Make/Model: Jaguar S-Type 3.0. Model: X TYPE. also fits the following models:X TYPE 2002 -2006. Year: 2002. 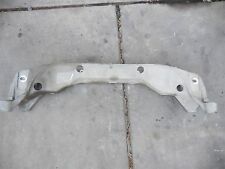 Power steering resevoir for Jaguar XJ6. Used, in good condition. ENGINE: V8 4.0. PAINT/TRIM: PED/SDZ. 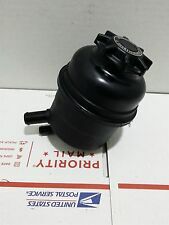 Good working condition PART NUMBER 2W93-3R700-AA IT ALSO FITS JAGUAR 2004-2005-2006-2007-2008 XJR XJ8L XJ8. LKQ SKU: LKQ125 ~161751855 SPM59082. This is NOT a manufacturer part number, and can be disregarded. We do our best to prevent these issues from happening and apologize for any inconvenience it may cause. STYPE 01 8-244 (4.0L), from VIN L86902. We are here to serve you the best way possible. Erie, PA 16503. A-1 Automotive. LKQ SKU: LKQ710 ~185723049 SPM58866B. This is NOT a manufacturer part number, and can be disregarded. We do our best to prevent these issues from happening and apologize for any inconvenience it may cause.